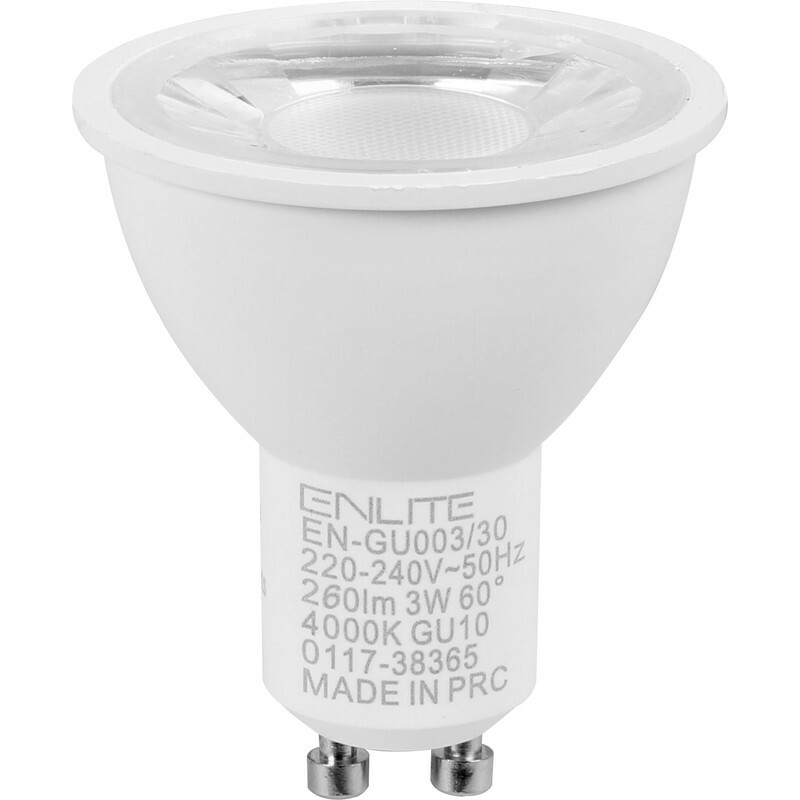 Enlite ICE LED 3W GU10 Dimmable Lamp Cool White 260lm is rated 5.0 out of 5 by 4. Rated 5 out of 5 by Toni555 from Excellent These bulb are the best for replacing 35w bulbs. I did not place my older bulbs sooner, as I thought LED bulbs were not as good but these ones are. Rated 5 out of 5 by goldwin999 from What I have been looking for for a long time Far superior to Halogen bulbs.